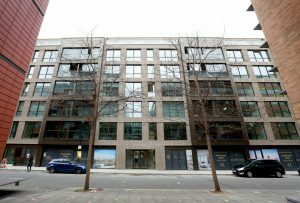 With a landscaped residents’ roof terrace offering unrivalled views of the Houses of Parliament and other iconic landmarks, residents of Westminster Quarter are already pretty spoilt. 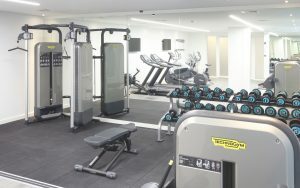 Add to that a 24hr concierge service and a motive8 designed private gym, and there really is no need to ever leave your apartment! 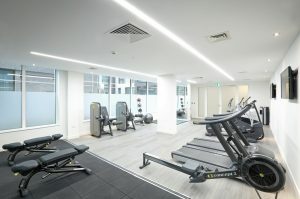 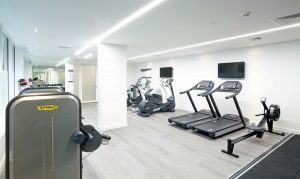 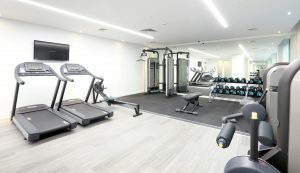 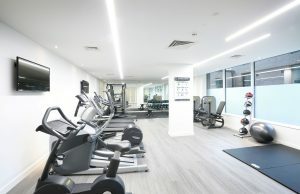 Cardio machines, resistance machines and free weight equipment paired with long mirrors, tvs and specialised rubber flooring makes for the ideal gym to match the standards of the apartments.